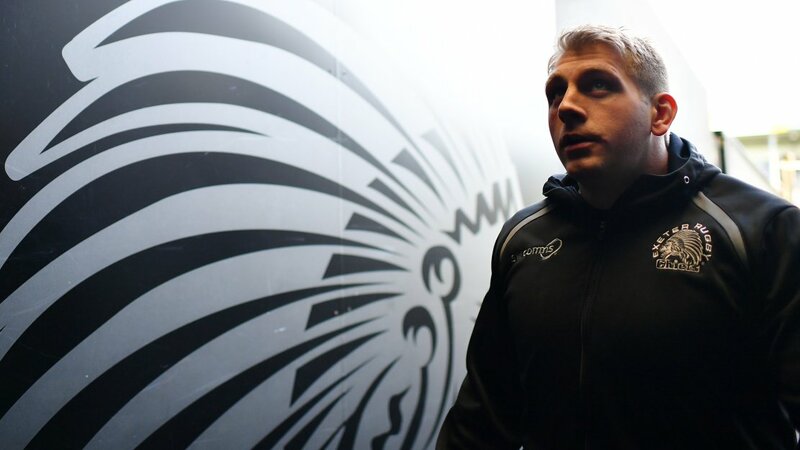 Exeter Chiefs players have been sending messages of support to team-mate Carl Rimmer, who has been advised to retire from professional rugby on medical grounds. Speaking of his situation, the 32-year-old said: “In January, I suffered a stroke after a nick in the artery following some contact in the game at Newcastle. “It was a delayed onset situation as, two days after the game, I walked out onto the training pitch, ran 50 metres at my slowest possible pace and nearly knocked Stu Townsend over by falling over. “It was all a bit weird. Nobody knew what had happened, I didn’t really know, I was fully conscious, and by the time I got to hospital and someone diagnosed it and told me what was wrong, the best part of me thought ‘it can’t be, it is impossible, I am 30 years old, there is no way that’s happened’, and it turns out it was related to trauma and not to anything else. “I spent the best part of a week in hospital. During the first week, there wasn’t even a thought of what was going on in the future, it was more dealing with the symptoms at hand, and I was so fortunate to be where I was, surrounded by medical teams and doctors, and by the time a week has passed, I was up on my feet and walking round, and everybody was very, very happy. “Needless to say, the Chiefs tribe have been quick to rally round the former Cornish Pirates favourite with plenty of messages of support and good will from fans and players alike.